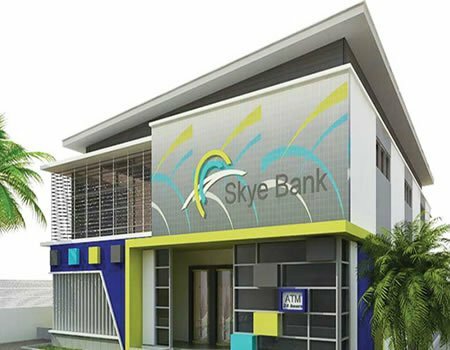 When Skye Bank launched its ‘Skye Select Account’, it promised to make it a delight of its customers and that pledge has since been fulfilled. Recently, some holders of the ‘Skye Select Account’ have shared the wonderful experiences they have had operating it and have also appreciated the bank for coming up with it. “I was travelling with some of my friends I didn’t know that being a holder of the priority pass card would give us a privileged advantage. “We were full of excitement because for starters, the card gave us access to the lovely lounge at Murtala Mohammad International Airport where we were given priority treatment. “I also had the opportunity to watch the live football match of my soccer team in comfort,” a Lagos-based businessman, Mr Okechukwu Okafor, who operates a ‘Skye Select Account’, narrated. “At Amsterdam, we had an eight-hour stopover before our next trip and the card gained us access to two of their executive lounges where we relaxed. “Imagine just waiting at the general waiting area/airport gate for eight hours with thousands of other travellers, the wait would have made our stop at Amsterdam uninteresting,” another customer, who simply identified herself as Christine, also shared. Speaking on the accounts, the Group Head of Retail, Mr Ndubuisi Osakwe, noted that Skye Select Account is an individual Current Account designed for the discerning priority client to deliver fast and convenient value added services, which includes a wide range of loans products in an exclusive package that matches one’s lifestyle. The account requires an opening and operating balance of N200,000 along with other product features. Customers who open and operate the account enjoy lots of benefits, including higher spend limit on the Platinum debit card, Free Priority Pass yearly membership card with access to over 1,000 airport lounges in Nigeria and abroad along with two free airport lounge usages per year. Discounted retail loans by 2 percent compared to standard rates, and Zero current account maintenance fee when you maintain the minimum operating balance. In addition to all these, the customers will also have access to credit cards, Internet and mobile banking services, fast track services and dedicated relationship managers.